To compare sociodemographic, life style and clinical characteristics in patients operated for lumbar disc herniation in public and private clinics in Norway, and evaluate whether selection for surgery and surgical treatment were different across the two settings. A cross-sectional multicenter study of patients who underwent elective surgeries for lumbar disc herniation at 41 (31 public and 10 private) hospitals. Data were included in the Norwegian Registry for Spine Surgery. Of the 5,308 elective surgical procedures, 3,628 were performed at public hospitals and 1,680 at private clinics. Patients in the private clinics were slightly younger, more likely to be man, have higher level of education, and more likely to be employed. Disability and retirement pensions were more than double in the public as compared to the private clinics. Mean duration of sick leave was 24 weeks (SD 36.4) in the public and 15 weeks (20.7) in the private clinics. There were minor differences in pain, disability and quality-of life, number of verified disc herniations and radiological findings. Number of days at hospital, total operation time and proportion of complications were significantly higher in the public than in the private clinics. 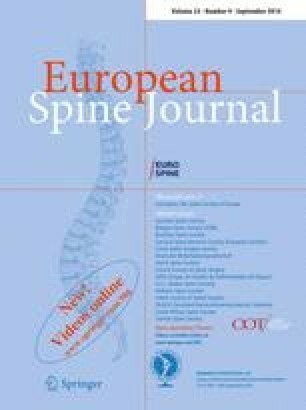 Patients having elective surgery due to lumbar disc herniation in public and private clinics were different with respect to many sociodemographic and life style variables. There were minor differences with respect to clinical variables and selection of patients for surgery, but substantial differences related to aspects of the surgical treatment.